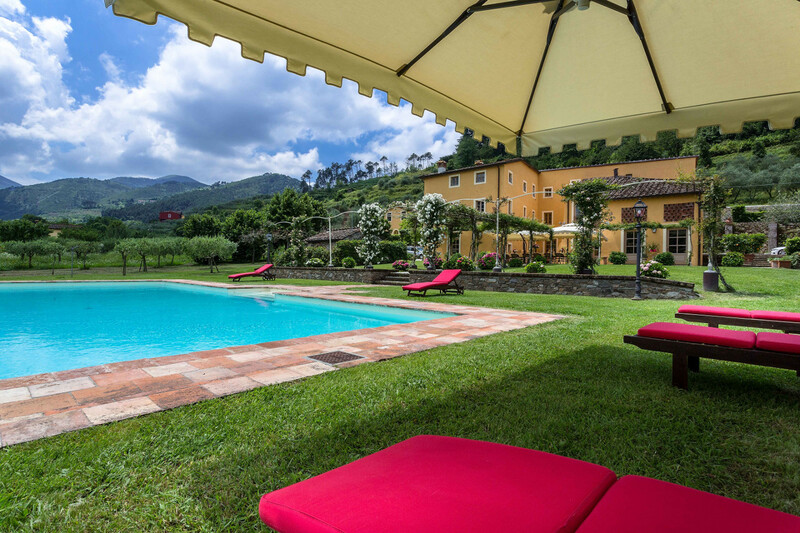 Short distance from Lucca, elegant farmhouse immersed in the Tuscan countryside surrounded by olive groves. 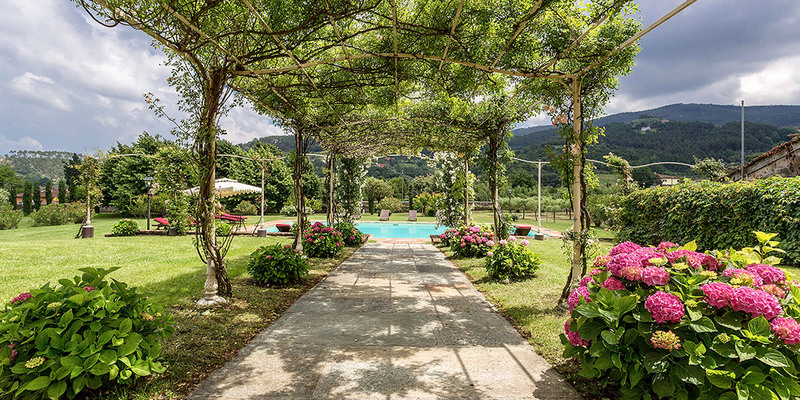 It features a big garden, a pool and a huge alfresco dining area with BBQ shaded by beautiful trellis covered by roses. Indoors there are a dining room, a lounge room with windows overlooking the winter garden conservatory, a living room with tv-sat, a furnished kitchen, a laundry room and a fitness room. 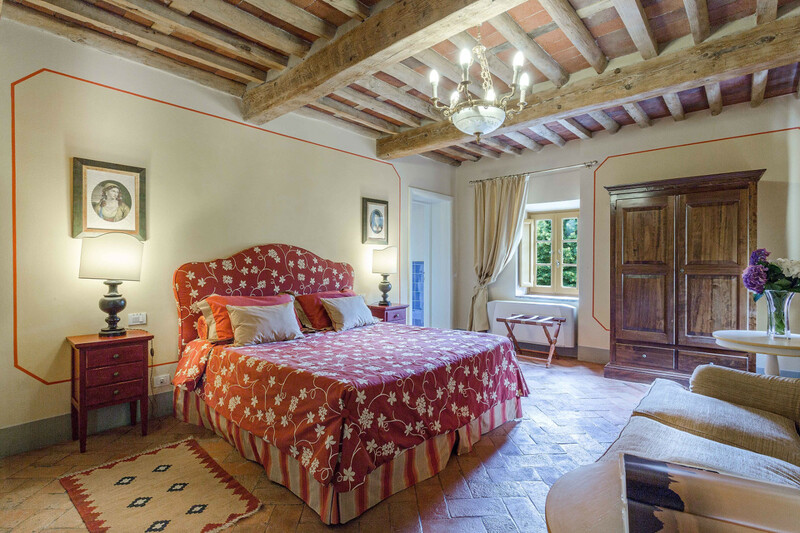 There are also off course 8 elegant bedrooms with en-suite bathrooms,a safe and air-conditioner. 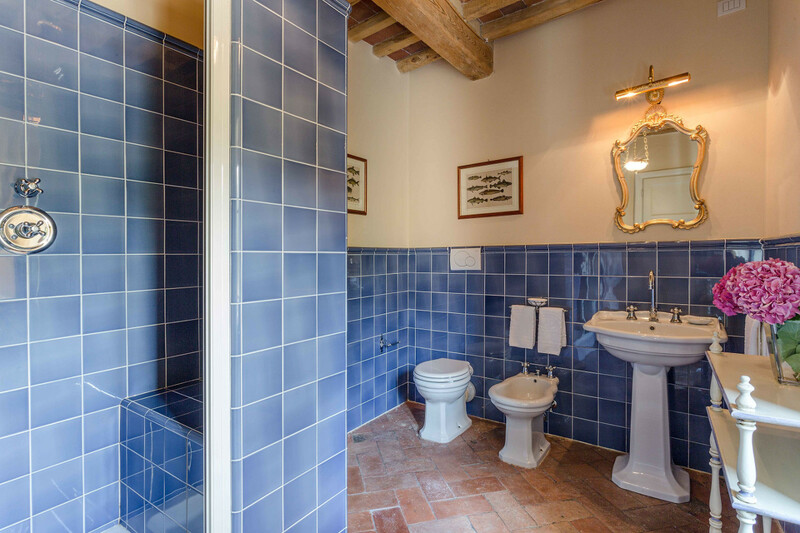 At short distance from the ancient town of Lucca, Casa del Fattore is an elegant farmhouse in the tranquil Tuscan countryside surrounded by splendid olive groves and orchards. 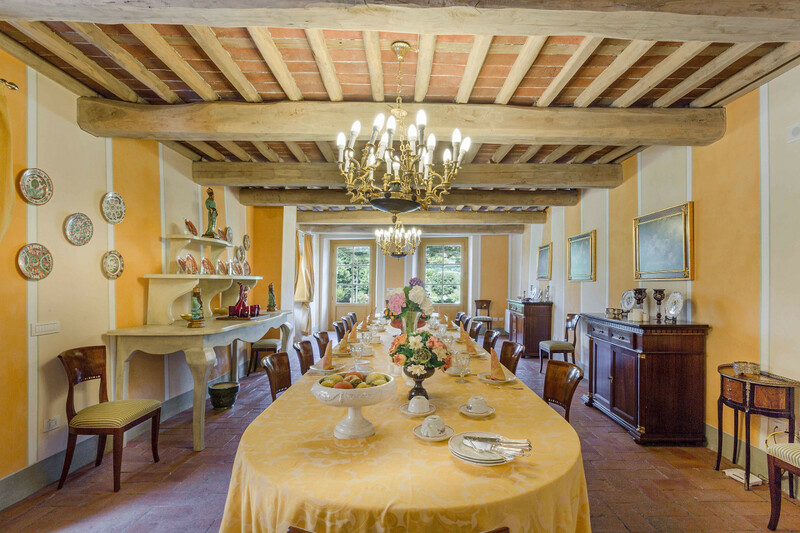 The house was part of the Controni family estate, a powerful family of Lucca; it was originally built as a farmhouse for the workers of the estate and comprehended stables, a grain warehouse and bread oven. 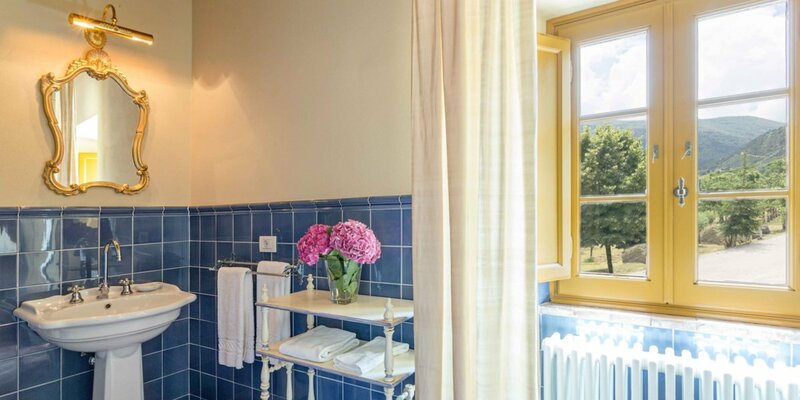 Thanks to a high quality renovation, the house is now a heaven for countryside and wellness lovers. 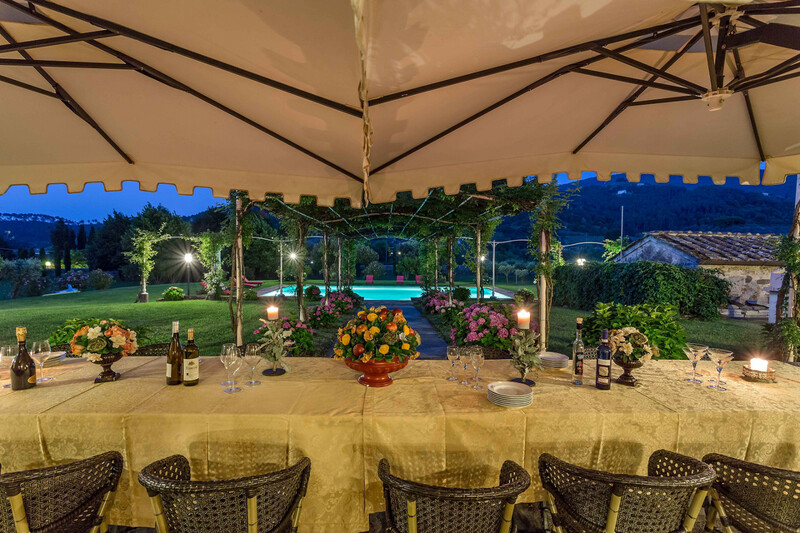 In front of the house there is a spacious private garden and a lovely dining area (max 22 people) with BBQ shaded by beautiful trellis covered by roses, which lead to the marvelous private swimming pool, reflecting the surrounding olive groves. An amazing panorama, a unique haven of peace! 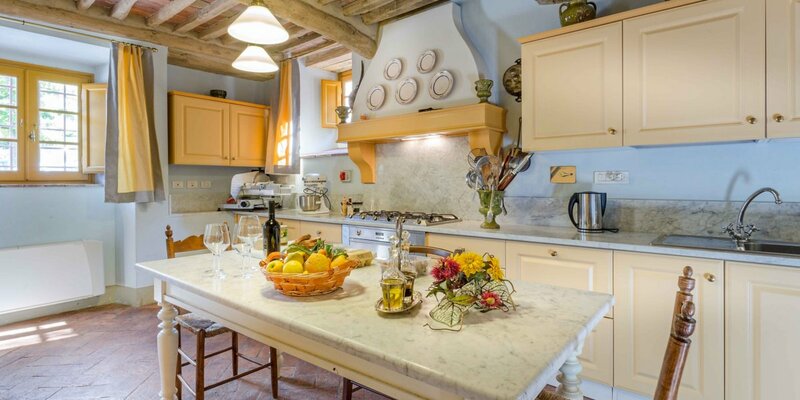 Indoors the farmhouse has kept the typical Tuscan flair: wooden beamed ceilings, terracotta tiled floors and a traditional fully equipped Tuscan kitchen. 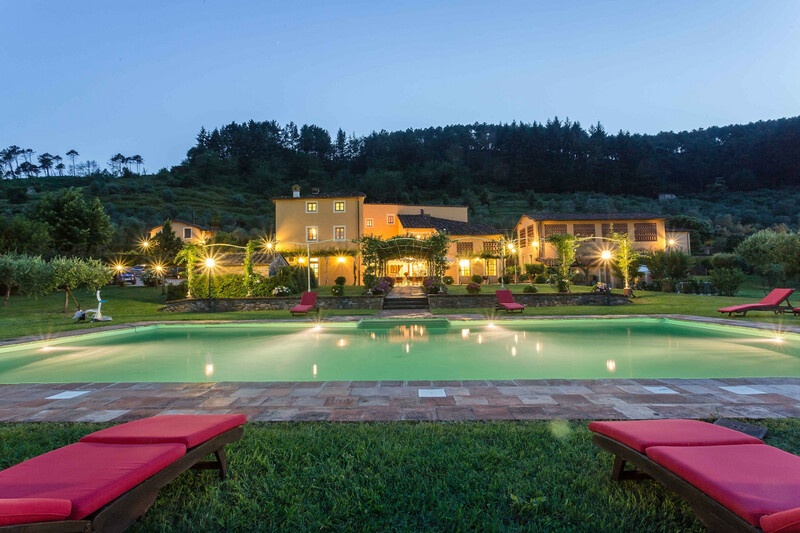 At the same time the Villa offers all top quality modern comforts: sat.TV, wifi, air conditioning and centralized music system. 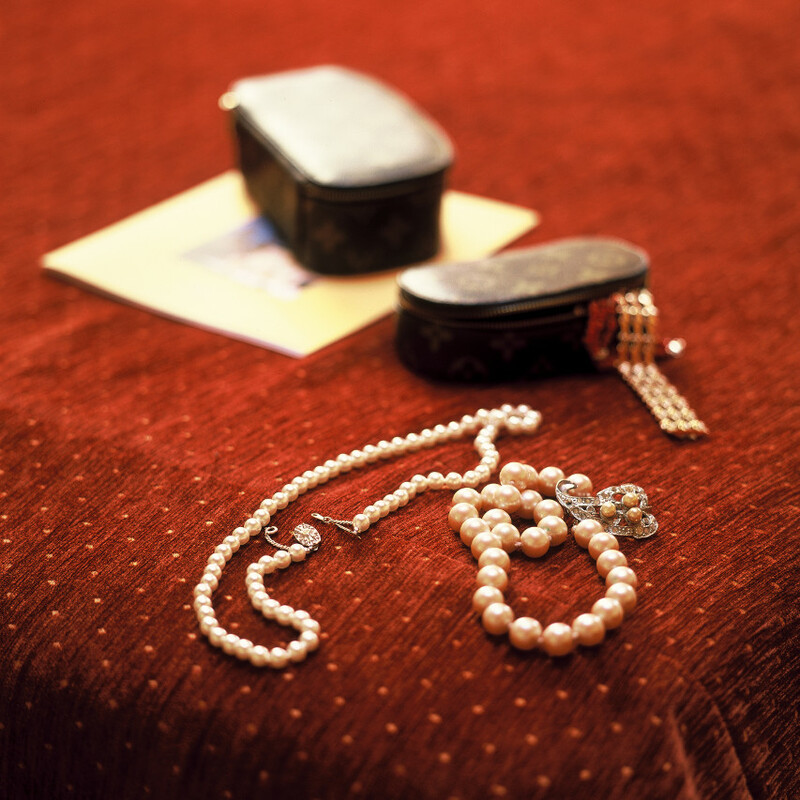 Every detail has been carefully arranged to make your stay truly unique! 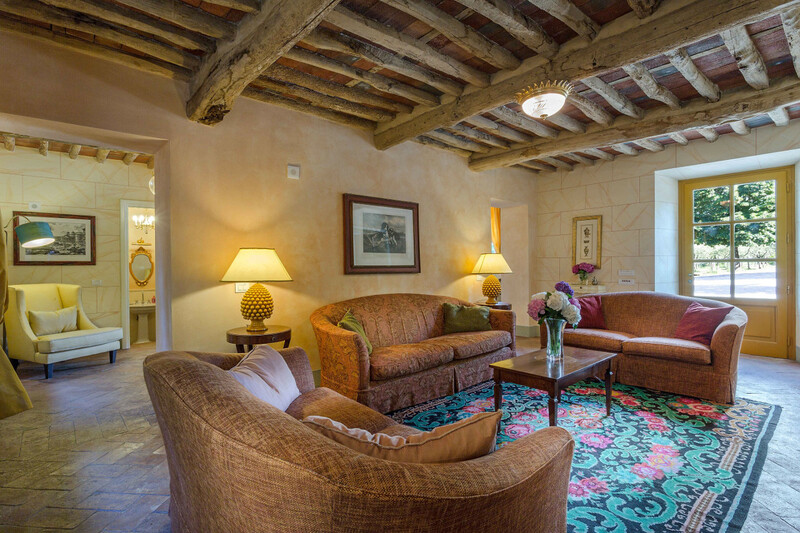 On the first and second floors there are 8 splendid bedrooms with en-suite bathrooms, a safe and air conditioning. 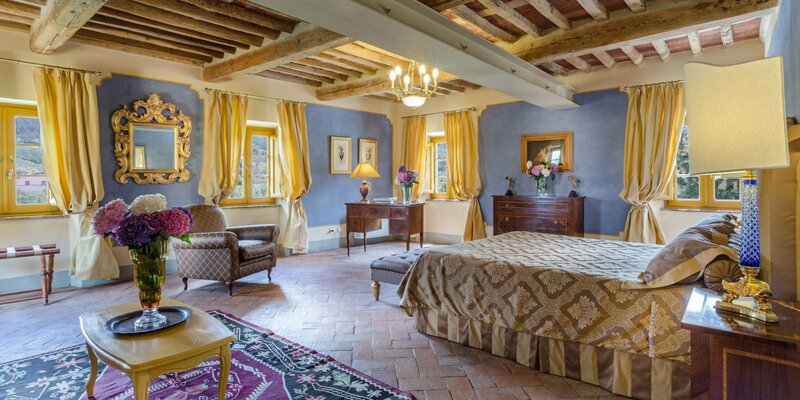 6 bedrooms have king size beds, one has a french bed and one two twin size beds, (can be united into one double). All bathrooms have a shower. 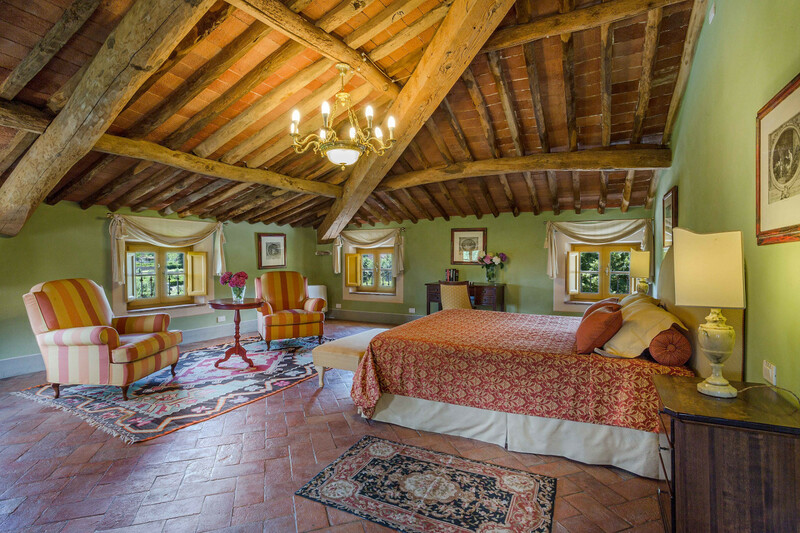 Some bedrooms can accomodate an extra bed and the villa can welcome up to 19 people max. 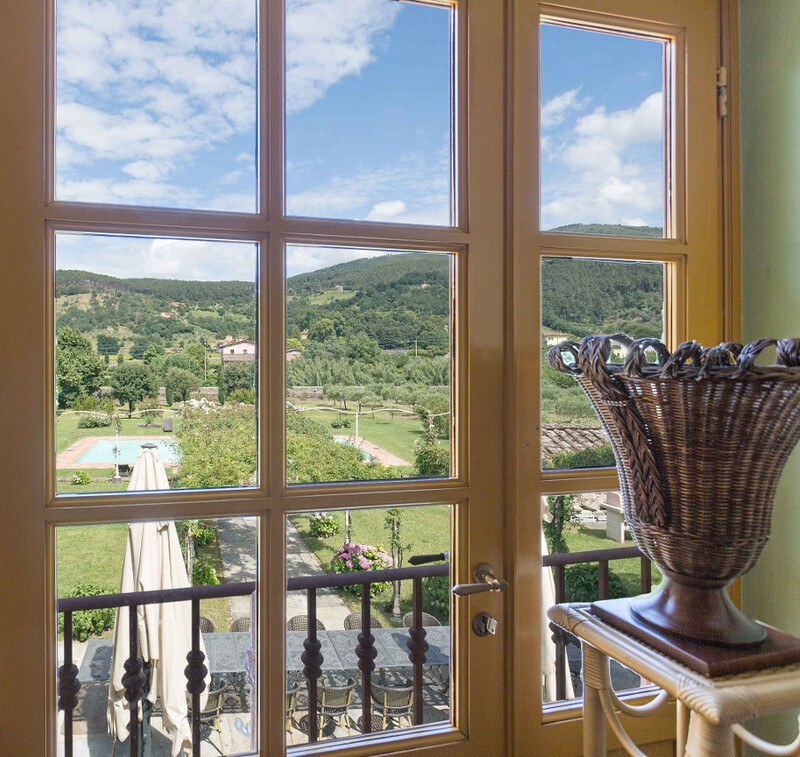 Every bedroom has a magnificent view over the surrounding area, orchards, olive groves and the pool; three bedrooms offer a unique view on three sides of the property, dominating the landscape. The Price is for 15 people. 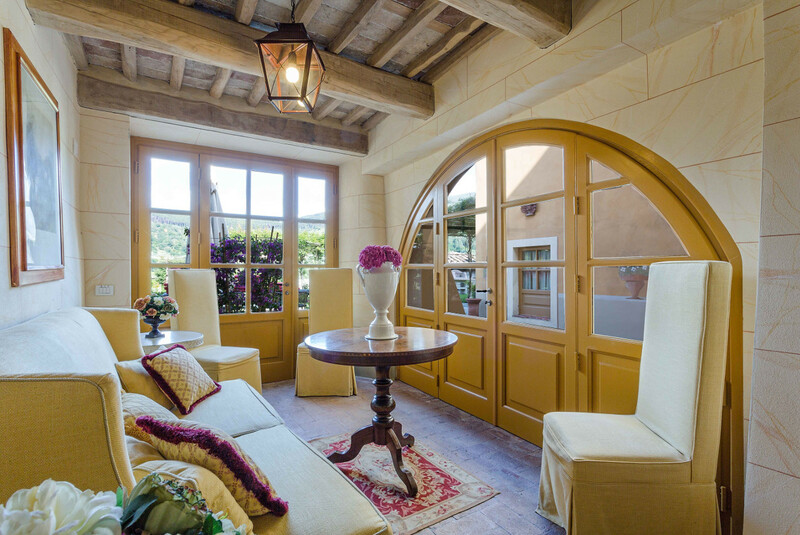 Thanks to the extra beds, the villa can accomodate up to 19 people. Some bedrooms can accomodate extra beds upon request and at extra fee. Baby cot is available at extra fee of 122 euro per week. Heating/air-conditioning, water, gas and electricity. The consumption of the airconditioning and electricity are included in the rental rate up to 1000 kw; over this amount clients will be charged accordingly to usage. It s very difficult to reach this limit if the airconditioning and electricity are used in a reasonable way.